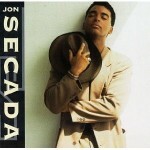 Jon Secada has sold over 20 million albums, won two Grammy Awards and performed on Broadway. Secada is also one of the worlds biggest song writers and producers, as he’s worked with artists like Ricky Martin, Mandy Moore and Jennifer Lopez. In addition to his success in the entertainment industry, Secada is a huge philanthropist that gives back as much as he can with a wide variety of charities. Dave O recently SKYPED with Jon Secada to discuss all of this, as well as what it was like moving to America at age nine, growing up working at a coffee shop, the new music and much, much more!